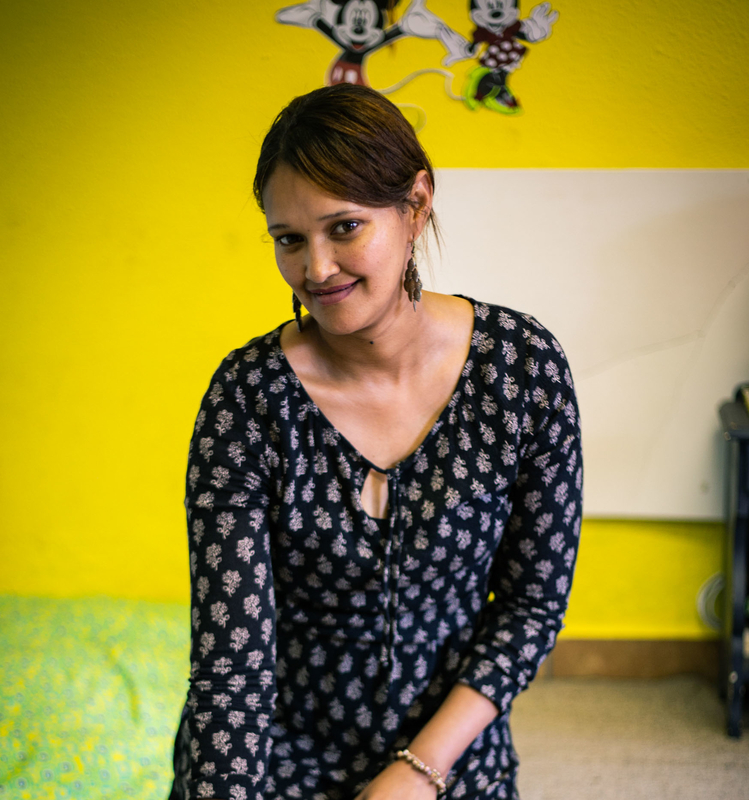 For the last two years the international private grantmaking organisation, the TK Foundation, has funded the training of 102 beneficiaries in health and frail care and food assistant skills through the Stellenbosch-based NGO Bergzicht Training. The foundation supports non-profit maritime and youth development programmes across the world. 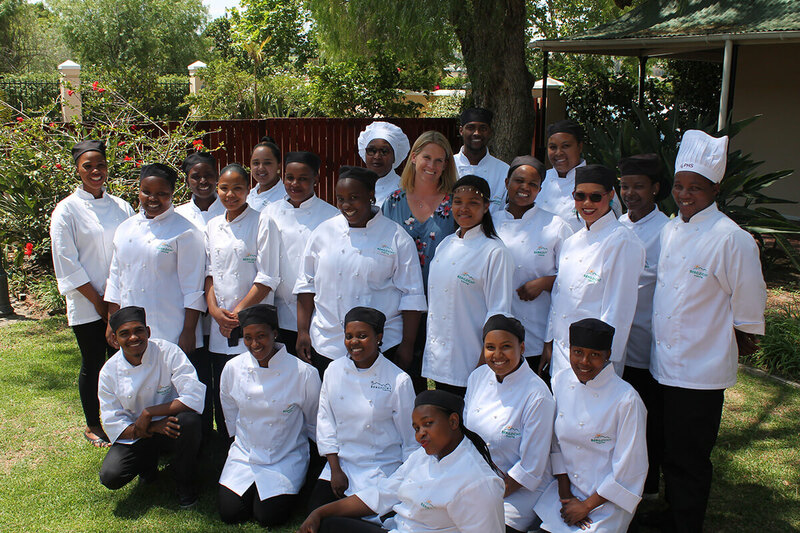 On 26 November 2018, the last two groups of beneficiaries completing the accredited Cathsseta Food Preparation Assistant and Food and Beverage Service Assistant Programme, which consists of two qualifications, received their certificates from The Private Hotel School (PHS) in Vlottenburg, Stellenbosch. 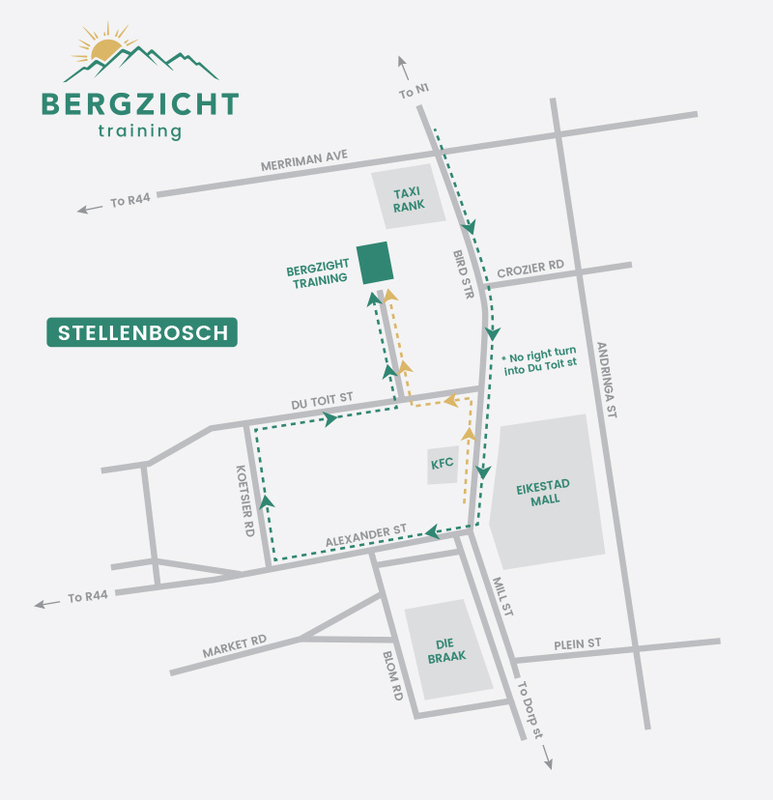 These two qualifications are presented by PHS in collaboration with Bergzicht Training. Except for sponsoring the training costs for the advanced programmes, graduates are also able to complete the entry-level 15-day iPOWER (Self-Empowering) Foundation Programme as well as the 10-day Employability Course thanks to the foundation. The Employability Course also includes a 5-day Computer Training course at JCT Computer Training. Over the last two years, the TK Foundation has sponsored 9 groups, which amounted to 102 students. 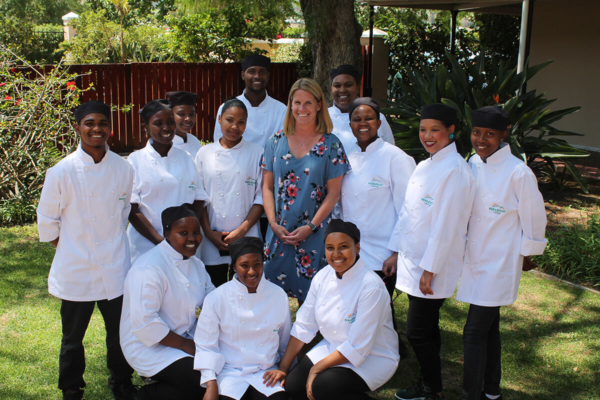 “We were also fortunate to have JSL Clothing sponsor our beneficiaries’ chef jacket,” said Ms Renske Minnaar, CEO of Bergzicht Training. The JSL sponsorship was initiated by Tsebo Outsourcing Group. A number of guests from the hospitality industry were present, including Ms Jeanneret Momberg of Middelvlei Wines and Vice Chairperson of the Stellenbosch Wine Route, Ms Heather Cooper of the TK Foundation, Ms Susina Jooste, Director of PHS, as well as Bergzicht Training Board members Mr Nathan Motjuwadi and Mr Charl de Villiers. A short video on Bergzicht Training’s work, which was sponsored by the Hanns Seidel Foundation (HSF), was also shown at the event. The HSF has been funding Bergzicht Training since the NGO first opened its doors in 1992. Graduates Lungelwa Booysen (29) from Kayamandi and Josephine September (28) from Wesbank, Delft, said they were really excited to enter the hospitality and tourism industries now that they have the relevant skills to do so. Booysen was working at BP when she first heard about Bergzicht Training. “I applied to Bergzicht Training in August 2017 and hassled Abigail at reception until they called me in January this year for an interview,” said Booysen. Because there were no upcoming food assistant programmes for graduates over 24, Booysen was only able to progress to the programme in early 2018. 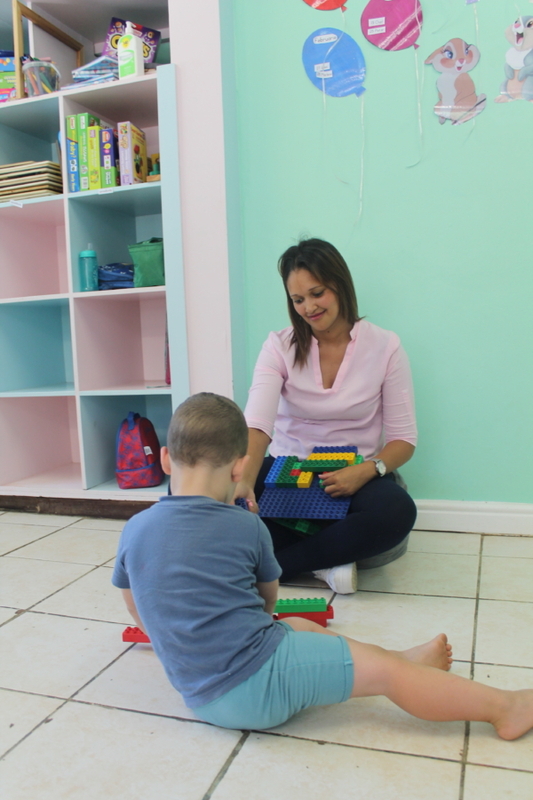 For September, it had taken nearly four years to find her way to Bergzicht Training after speaking to family and friends who had all studied at the NGO. During her work-integrated learning, September, who had always thought she would become an air hostess, often received compliments about her knife skills from her peers in the industry. She has already been offered a position at Fedics at Sanlam in Bellville. “My self-confidence has increased and I feel I can take on anything now. I want to thank the TK Foundation and Bergzicht Training for everything. If it wasn’t for them, I would not be where I am right now,” she added. Cooper, who drew inspiration from a speech that her 12-year old son had written for a class presentation, said that when she looked at the graduates in front of her, she saw superheroes. “When we think of superheroes we usually imagine men in capes fighting bad guys or people dressed up like spiders or bats saving damsels in distress. But not all superheroes are that obvious and they don’t all look the same. The main defining feature of a superhero is not his or her looks or the type of outfits they wear, but rather a set of characteristics that they share,” she said, listing selflessness, determination, grit, fearlessness, kindness, and a desire to do the right thing as characteristics. Cooper added that the TK Foundation was proud to be connected to Bergzicht Training through the sponsorship of their programmes, in particular because the NGO’s programmes were based on the philosophy of “a hand up, not a hand out”. The programmes also had a far wider impact than the individual alone.